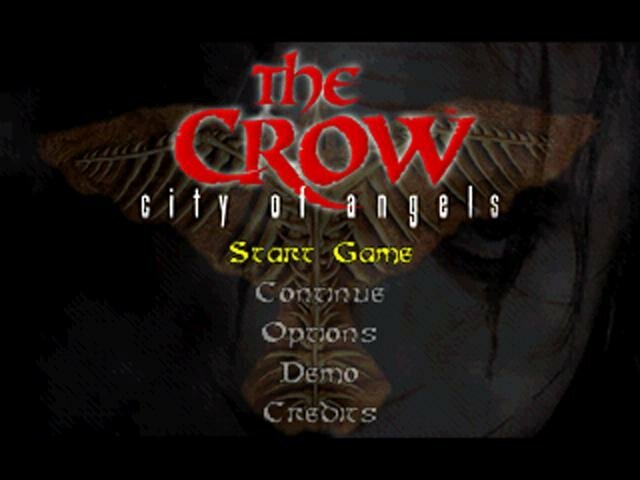 After the imaginative and surprisingly successful movie The Crow, 1996 brought us the follow-up. 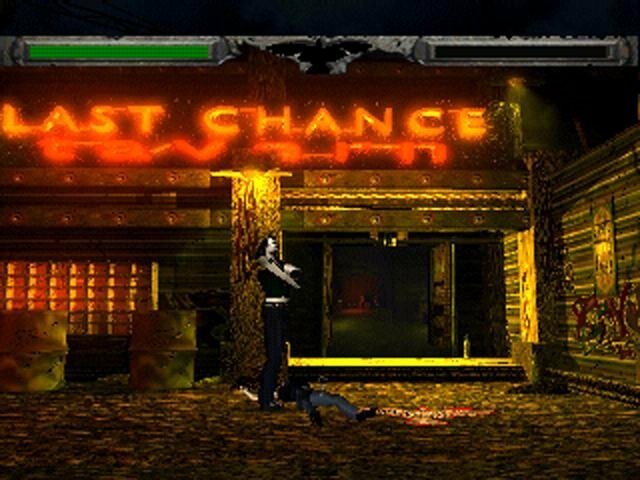 Crow: City of Angels is about Ashe, an unlucky chap whose son witnesses a gang killing. 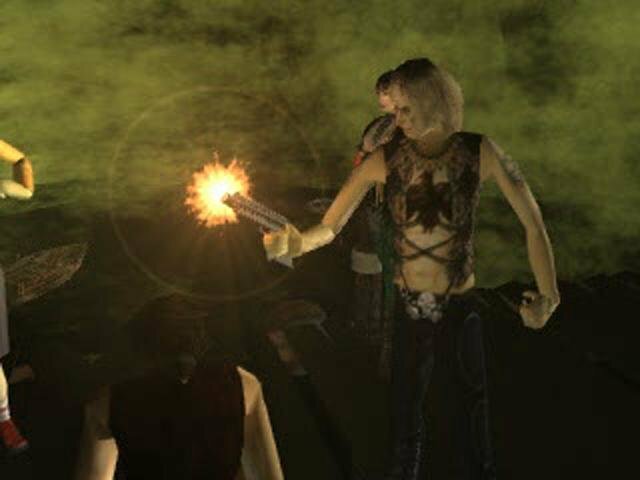 The gang leaders don’t take kindly to this, and Ashe and his kid are offed by the notorious Curve (played by Iggy Pop!). 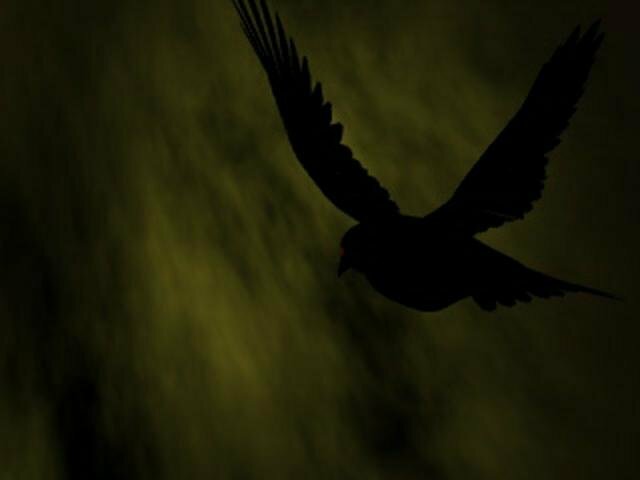 Then, a pissed-off, Crow-powered Ashe returns from the dead to wreak havoc. The rest of the movie consists of either Ashe beating some bad guy while spouting snappy one-liners, or Ashe driving his motorcycle around while loud rock music blares in the background. 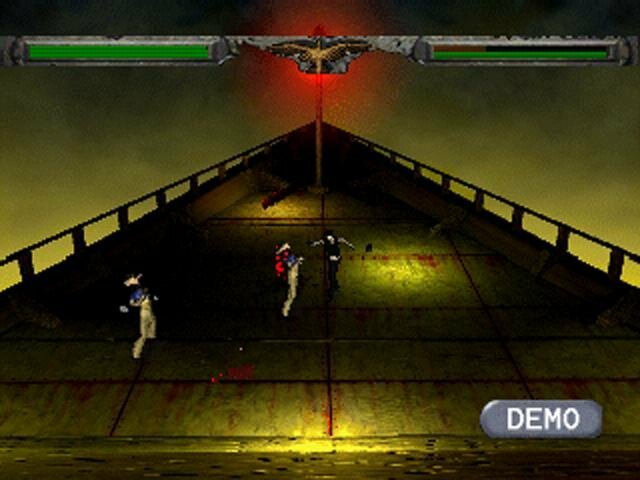 This translates into a game where you walk around dark, seedy scenes and kick the crap out of hordes of baddies. 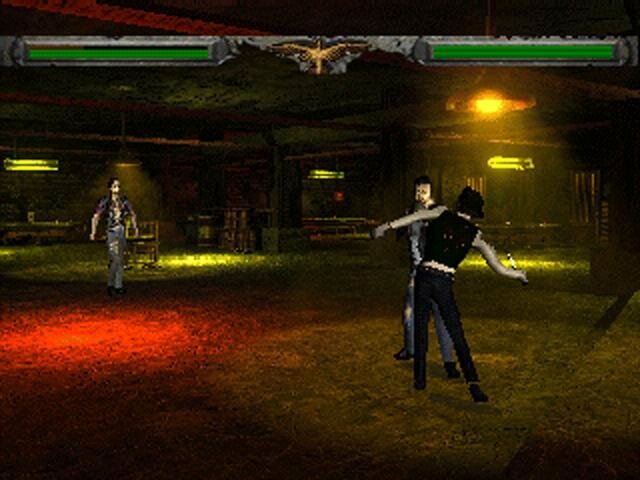 This type of game has been done before in countless mounds of console games (Die Hard Arcade comes to mind), but City of Angels convolutes the experience by gumming it up with 3D movement, where your character is able to freely rotate 360 degrees as he walks through his surroundings. 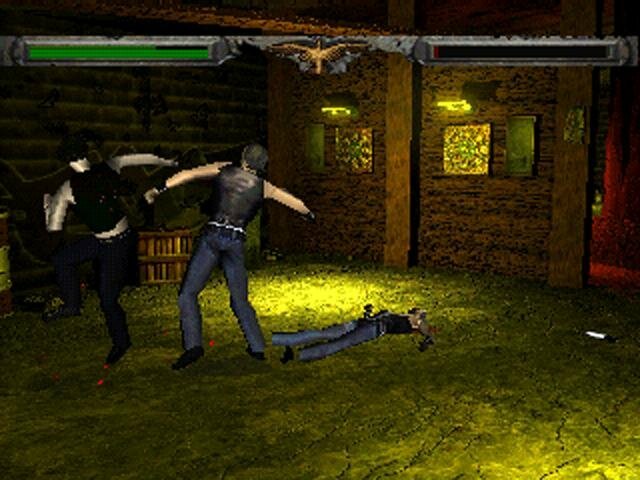 Similar to the combat scenes in Alone in the Dark, cruddy camera angles can throw the entire battle into a state of confusion, making the action tricky to observe and the fighting near-impossible. 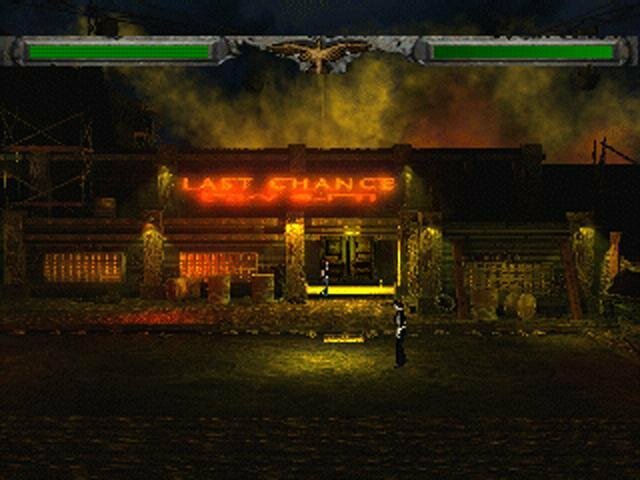 In City of Angels, your funny-walking character is given free run of a world that consists of non interactive backgrounds. 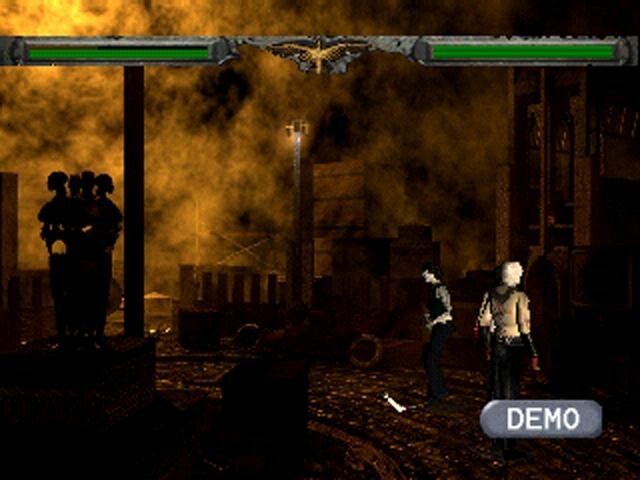 While the motion capture for the characters looks decent, control is painfully sluggish — there’s a blatant pause between a button press and the execution of one of Ashe’s prissy-boy snap kicks. You can pick up and toss various objects like beer bottles, boxes, and kegs, but your best bet in any fight is lining yourself up with your enemy (a formidable task), and executing a continuous roundhouse kick, which should knock down incoming bad guys like dominoes. Unless, of course, they attack you from three degrees to your right — in which case you’re screwed. One more thing — all of those bad guys come from the same mold. There’s nothing like being attacked by three fat construction workers in overalls who all look the same, shouting “Eat Steel” and “Hey, clown-face.” On the plus side, the boss fights are entertaining, simply because you get to beat up skanky old Iggy Pop and the girl who played Trini the Yellow Power Ranger. 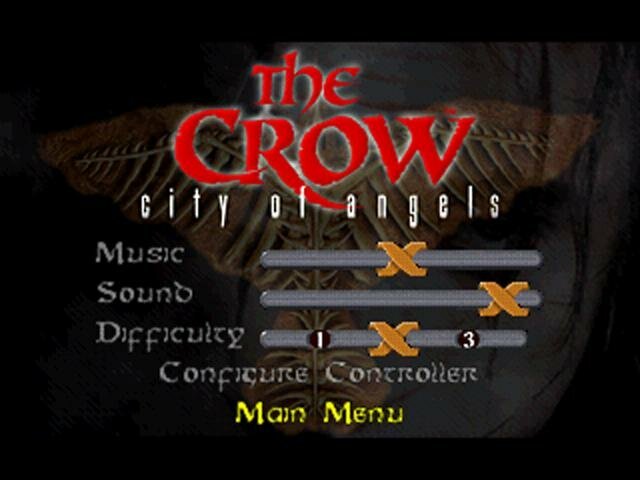 When it comes right down to it, City of Angels will give you a longer and more lasting Crow experience than watching the movie. Whether this is a positive thing remains debatable.